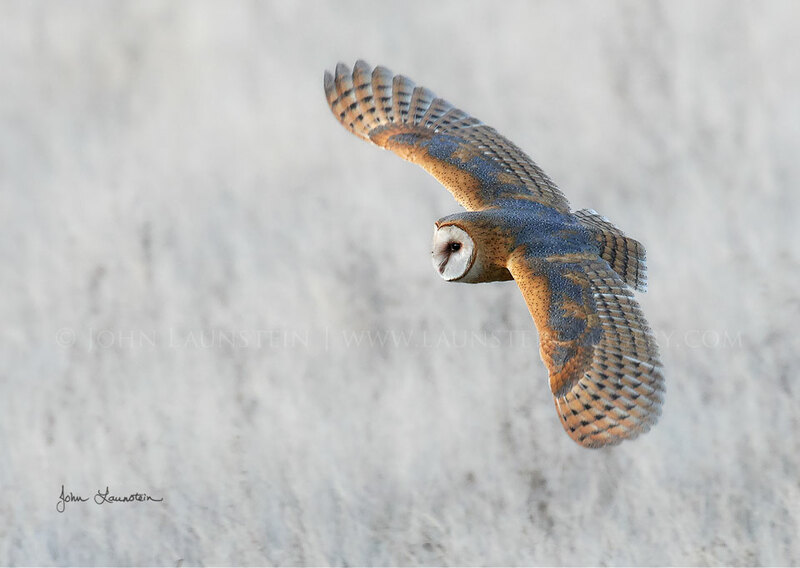 Barn owls are simply remarkable flyers. Their ability to weave through branches and other obstacles while in search of a meal is nothing short of incredible. This beautiful owl hunted the winter fields for Townsend’s Voles as the last light of day faded from the sky, searching for signs of movement. It gracefully glided past John and Josiah, kissed by the afterglow of the sunset as the grass below softened into the evening shadows.